I'm a Dharma heir of Robert Aitken Roshi. I was also a student of Yamada Koun Roshi, and in the early 1980's, Thich Nhat Hanh. I created integrative retreats that helped veterans and their families and care providers alleviate the wounds of war. I wrote Zen and Psychotherapy: Partners in Liberation; Waking Up from War: A Better Way Home for Veterans and Nations; and After Midnight: Selected poems. I also co-translated and edited the first edition of Thich Nhat Hanh's Guide to Walking Meditation. 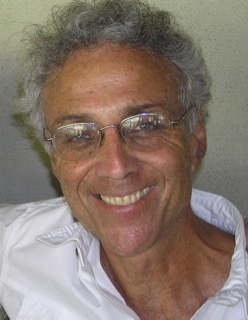 I practice psychotherapy, and teach Zen in Studio City, CA. I consult with programs working to alleviate collective and individual trauma, and present on the interplay of Buddhism and psychotherapy in transforming trauma.